RC (Photo and Video!!!) 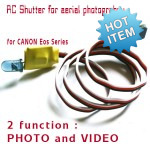 Shutter for aerial photography RC video and photo shutter for canon E..
New product. First in the world! 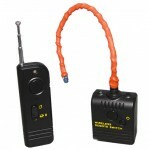 RF remote controller (video Start/stop and Photo) for Canon..